If you haven’t heard of the brand Jambu yet you’re definitely missing out because they seriously have the most versatile vegan shoes for women, especially these Manukas. Not only are they good for the environment, but they’re oh-so-stylish as well. Honestly, these shoes are really comfortable (thanks to the memory foam bottom) that you almost forget that you are actually wearing shoes AND they are even water resistant – perfect for a wet track/hurdle training kind of day. 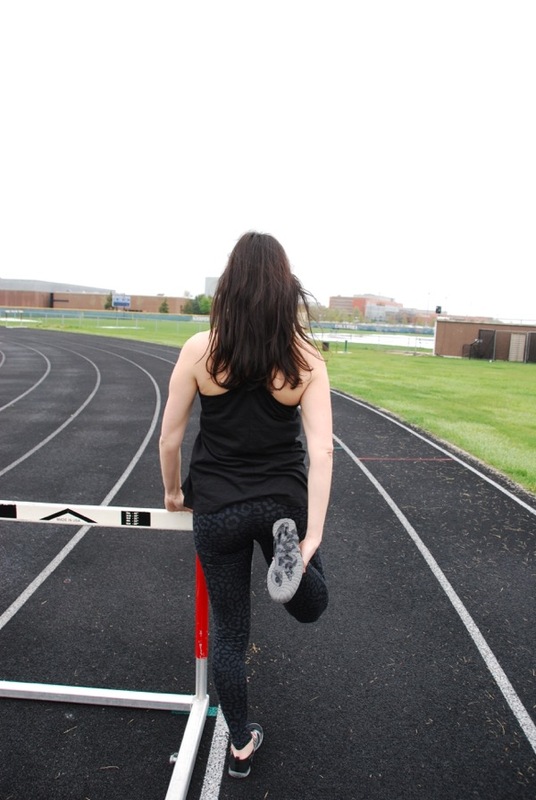 And by the way, it feels so great having only one week left of hurdle coaching. It’s been quite the season and I’m hoping my athletes set some personal records in the next week. I just have to get through one more invitational and two conference meets and then I just need to get through the last week of school and prepare to bring these Jambus with me for some outdoor all-terrain exploring in the Dominican Republic! Want to feel the comfort for yourself?! Use the code jambuhallways and receive 10% off your full price purchase! Make sure to tag me so I can see where your Jambus take you and I will definitely be sharing where my Jambus take me all summer long on all my social channels @hallwaysrunways. *Thank you Jambu for collaborating with me. All opinions are my own. Look at you on the track!! I love that you coach track, I think it’s so cool and I bet the students love you!! Sorry I missed you this week at the Spin event, I can’t feeling good! Boo, but hope to catch up soon! I always have fun with you!